Five Guys menu is based on a selection of burgers and hot dogs, with fries on offer as a side. Have you got Google Earth on your computer? If so, then download the Google Earth Map of Five Guys Victoria Square. 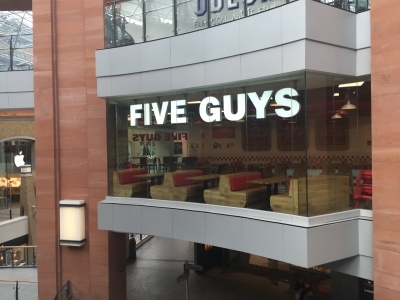 Is this the wrong position for Five Guys Victoria Square? If you think so, then modify its position.